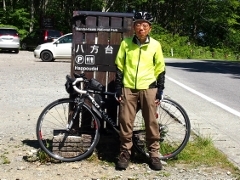 Today I left Ryozen of Date City and pedaled toward Soma City which is located in the northernmost part of Hamadori, Fukushima Pref. 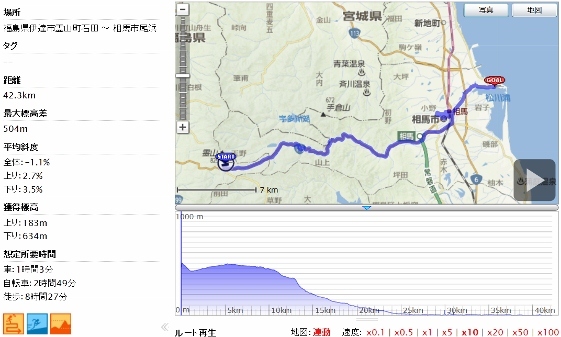 The routes were national road Route 115 and Pref. road Route 38. As shown in the GPS log below, it was mainly steep downhill ride. I took best care of safe ride. 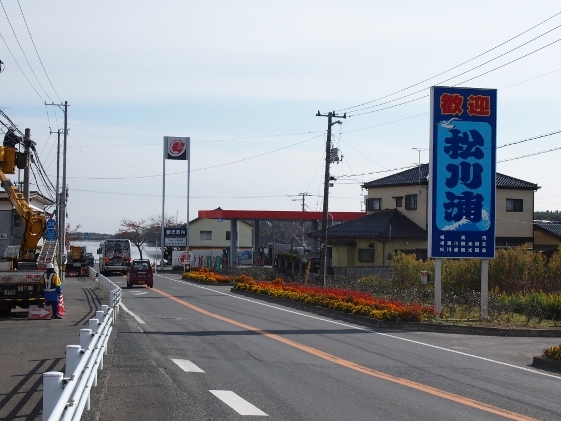 In about 5km ride from Ryozen, I entered Soma City. Then, 20km long downhill followed. Many decontamination works were going on. After entering the center of Soma City, I found Soma Station of JR Joban Line. The station building looked elegant by its Japanese style. 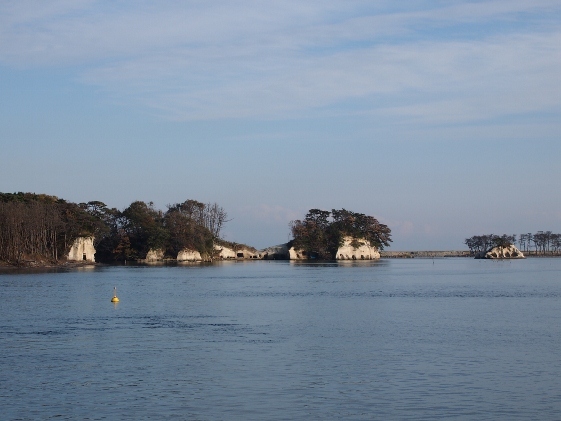 Then I visited Matsukawaura which was a scenic area along the bay in Soma City. Five pictures are shown above. 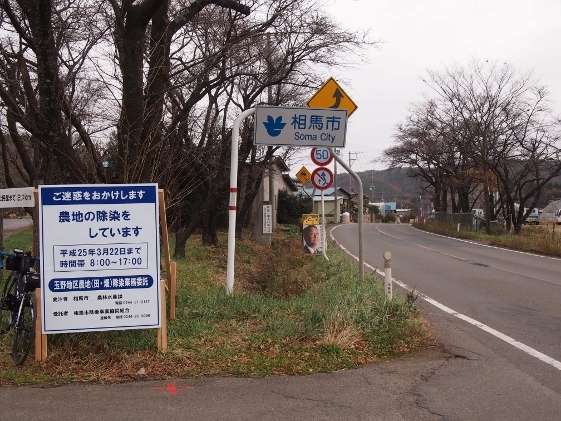 The first one is a welcome sign board. 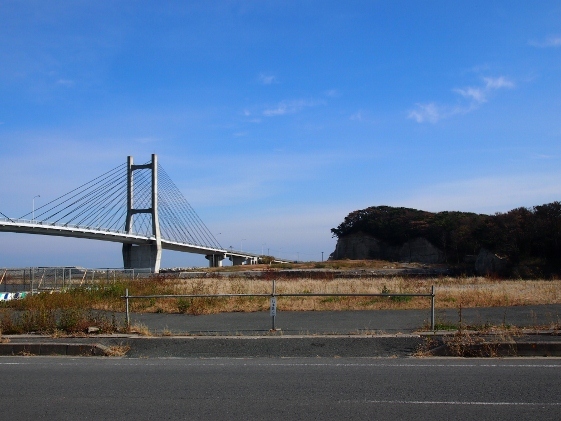 The next two pictures show views of Matsukawaura Coast. 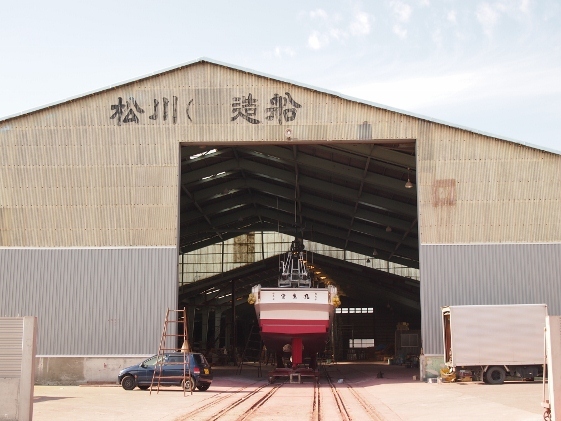 The last picture shows a new ship being built in a shipyard. 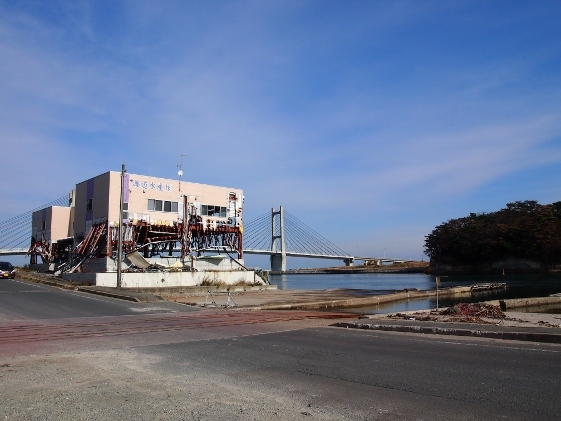 There still remained sites under repair or damages of the tsunami disaster on March 2011. 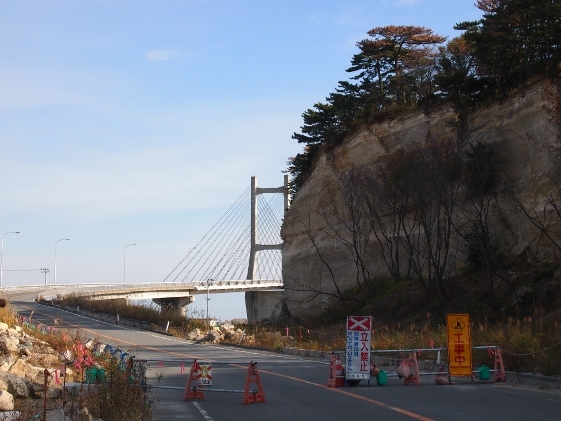 The first picture shows Matsukawaura-ohashi Bridge still under repair and says no unauthorized vehicle. The second picture shows seafood plant remain with its iron frames been destructed. However, many inns and stores had already started business thus recovery was very fast. 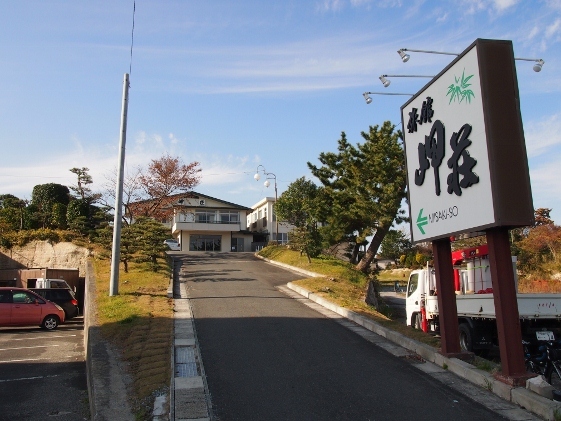 Today I stayed at Misakiso Inn shown in the picture above. 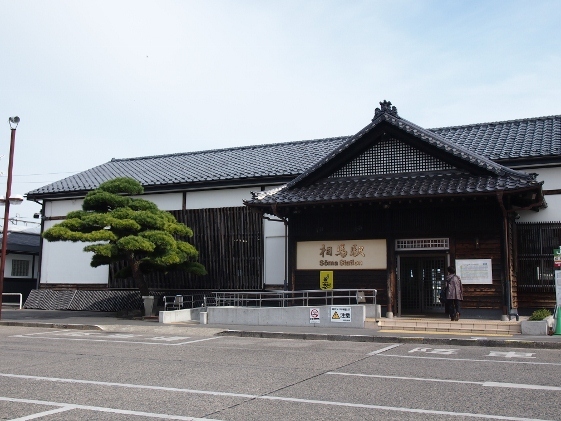 Since the inn stood in the height, a good view of Matsukawaura could be seen from the room. The price was reasonable such as private lodging.